Helping you understand the value of the companies and ETFs you are investing in. For a Stockcalc trial account please click the button on the welcome page. Disclaimer: TD Ameritrade, Inc. and StockCalc are separate, unaffiliated companies and they are not responsible for each other’s services and products. Veo Integrated is an indication of programming compatibility. It does not imply any TD Ameritrade, Inc. recommendation of, endorsement of, warranty of, or fitness for use of StockCalc’s products or services. TD Ameritrade is not responsible for information, opinions or services provided by StockCalc. Brokerage services provided exclusively by TD Ameritrade, Inc., member FINRA/SIPC. 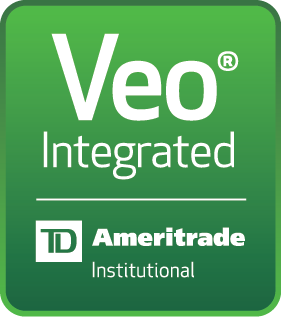 Veo is a trademark of TD Ameritrade, Inc. TD Ameritrade is a trademark jointly owned by TD Ameritrade IP Company, Inc. and The Toronto-Dominion Bank. Used with permission. All rights reserved. StockCalc is proud to be one of TD Ameritrade Institutional’s third-party vendor integrations. Stockcalc has been designed to quickly value companies and ETFs for you. Use the screener to find fundamentally undervalued stocks or enter a company or ETF to run the analysis engine. Its a stock's or ETF's value that makes you money. View the detailed reports or provide the reports to your clients to help them understand your recommendations. Value every stock and ETF in your (or your clients') portfolios. See the list of fundamentally undervalued stocks that should be in your portfolio. See how you can do it! Copyright © 2019 Patchell Brook Equity Analytics Inc. All rights reserved. Equities trading and trading of all markets, exchanges and instruments contains substantial risk and is not for every investor. An investor could potentially lose all or more than the initial investment. Risk capital is money that can be lost without jeopardizing ones’ financial security or life style. Only risk capital should be used for trading and only those with sufficient risk capital should consider trading. Past performance is not necessarily indicative of future results. View full risk information here. Patchell Brook Equity Analytics Inc. makes all reasonable efforts to ensure it receives information from sources it deems reliable, fair, and accurate. Information provided by Patchell Brook Equity Analytics Inc. and information provided by those other sources on this website is not subject to any guarantee as to its accuracy or completeness or as to its currency. Neither Patchell Brook Equity Analytics Inc. nor any third party owner, licensor or supplier of information used or made available through this website, including market data, quotation information and databases, and including news, articles, text, graphs, audio clips, video clips, broadcasts and seminars ("Data") makes or is liable for any representation, warranty or condition, whether express or implied, concerning the Data or the use thereof including, without limitation, that (i) the Data will meet your needs, or that the Data will be available for use at any particular time or for any particular purpose or will be error free, or (ii) the Data is up-to-date, accurate, in sequence, reliable, complete or suitable for any purpose. Further, Patchell Brook Equity Analytics Inc. disclaims any implied warranty of merchantability or non-infringement. Database Information provided by Morningstar is copyrighted © 2019 Morningstar. All Rights Reserved. The database or other information where identified contained herein: (1) is proprietary to Morningstar and/or it content providers; (2) may not be copied or distributed; and (3) is not warranted to be accurate, complete or timely. Neither Morningstar nor its content providers are responsible for any damages or loss arising from any use of this information. Past performance is no guarantee of future results. Without limiting the foregoing, "real time" or "delayed" quotes viewed on this website, particularly in times of high volumes of trading and market volatility, may not be reflective of a current trading price of a security. Further, all express or implied, direct or indirect, representations, warranties and conditions in respect of Data arising or implied by statute, common law, custom, usage of trade, course of performance, course of dealing or otherwise, including but not limited to any warranties or conditions of merchantable quality and fitness for a particular purpose are expressly excluded. Patchell Brook Equity Analytics Inc. also strictly prohibits the use of technologies such as "Screen Scraping" or other similar or related technologies used for the capture of data from the Patchell Brook Equity Analytics Inc. website. All data is to be maintained on the Patchell Brook Equity Analytics Inc. website unless otherwise specifically identified. Data, reports and all other information are not to be downloaded to any other device, hard drive or similar technology unless expressly identified on the Patchell Brook Equity Analytics Inc. website. Users are solely responsible for the actual password(s) chosen by them. Users of this service are solely responsible for maintaining the security of their logon id and password(s), and ensuring that only the user uses the logon id and password(s). User agrees not to disclose their logon id and password(s) to any other person. Patchell Brook Equity Analytics Inc. shall not be responsible for the unauthorized use of the service by any other person with user's logon id or password(s), and Patchell Brook Equity Analytics Inc. is under no obligation to confirm the actual identity or authority of any user of the logon id or password(s). User shall notify Patchell Brook Equity Analytics Inc. immediately upon becoming aware of any known or suspected unauthorized use of the user's logon id or password(s) to gain access to the service, or any other breach of security involving user's logon id or password(s). © 2019 Patchell Brook Equity Analytics Inc. This presentation is for educational purposes only and the opinions expressed are those of the presenter only. All trades presented should be considered hypothetical and should not be expected to be replicated in a live trading account. We are a growing team of developers and analysts based in Canada and have been actively investing for decades. We could never find the tools that allowed us to properly calculate value per share without being knee deep in spreadsheets – so we built this site. StockCalc contains all the tools you need to quickly calculate value per share and do it in a collaborative environment. 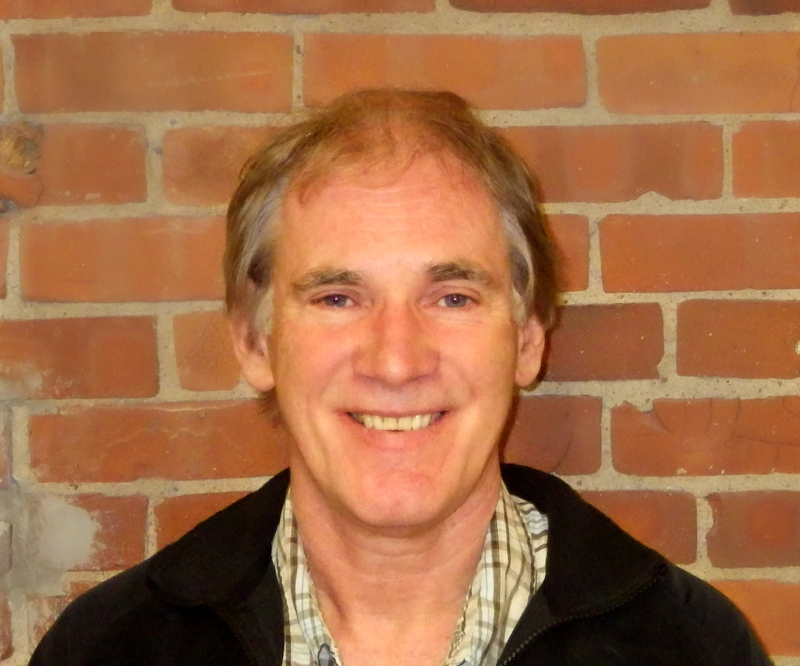 Brian is the President of Patchell Brook Equity Analytics Inc. a Miramichi, New Brunswick based company focused on fundamental equity analysis. Brian received his MBA from Wilfrid Laurier in 1999 and completed his Chartered Business Valuator (CBV) designation in February 2014. The combination of the MBA, CBV and his analysis background have all inspired this company. 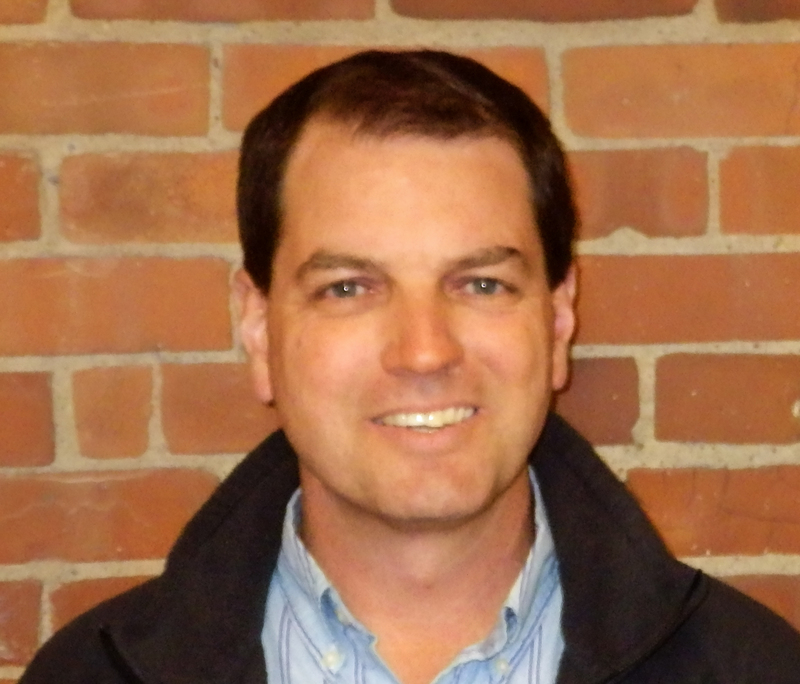 Upon completing the MBA, Brian joined the .com world as Director of Pulp and Paper with MyPlant.Com. He returned to Miramichi in 2002 as Economic Development Director with the City of Miramichi followed by his role as Executive Director with Enterprise Miramichi until 2013. Chris brings 15 years experience working in a number of start-ups in industries ranging from telecom to life sciences. He's worked in several cities across Canada and internationally. He's always looking for a challenge and is ready to change the way people analyze and value companies. Chris is applying his talents to the Patchell Brook's web functionality and data management. With over 20 years of working for private companies and government, Reggie has worked in application development for the desktop and the web, tool integration, and process improvement. Projects he has been involved with include a monitoring system for a mine, a human resource system, a project management system, and several eLearning projects. Each successful project brings a great sense of accomplishment. Another rewarding experience was being part of a team responsible for implementing processes that achieved Level 3 of the Capability Maturity Model. The IT field encompasses a broad range of technologies and always presents new and challenging opportunities to learn and grow. That's why Reggie enjoys working in the IT field." Hi there! My name is Zach & I have been working mostly with functionality & keeping things working behind the scenes here at Patchell Brook Equity Analytics. 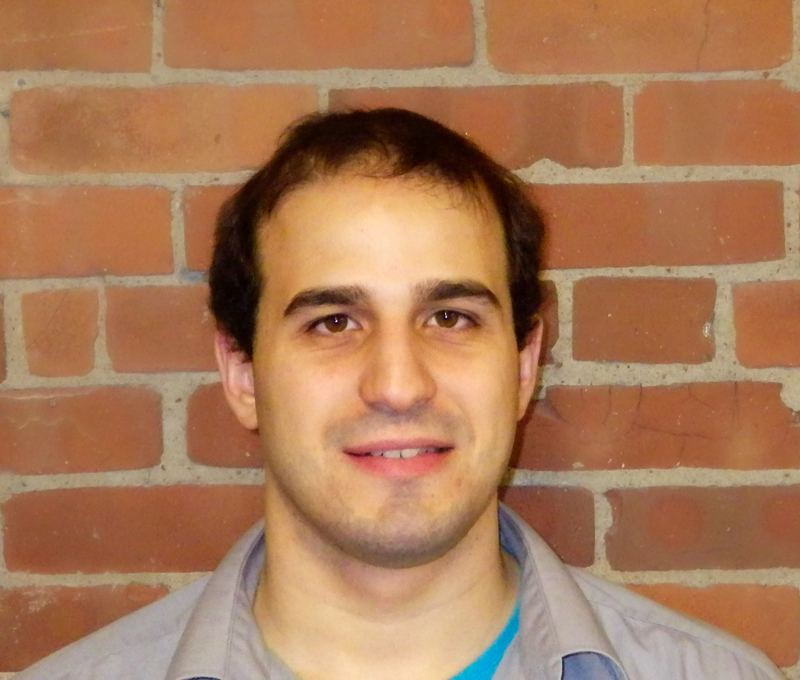 Originally a physicist by trade & with a constant motivation to learn more on the realm of the logical sciences, I eventually found my way into getting a Masters degree in Computer Science from UNB/UB. I have also developed a financial analysis programming language called the Analyst Language which might be of interest to those of you not afraid of working with the console. A chef by trade, Kayla worked for 6 years in various kitchens. Needing a career change she chose to pursue a career in Software Development. She Returned to NBCC in 2014 and completed the Electronic Game Design Program in June of 2016. She worked with a local game studio for a few months then joined Patchellbrook in September 2016, doing the web design for the company and product sites. We have up to 6 valuation points for each company in the database. You can use them here as part of your screening. Each of the 6 is explained below: The selection is made against the Close Price for the company. For example if you selected Analyst Consensus we will look for companies that have an average Analyst Consensus value greater than the close price for the Select Date indicated. Discounted Cash Flow (DCF) valuation is a cash flow model where cash flow projections are discounted back to the present to calculate value per share. DCF is a common valuation technique especially for companies undergoing irregular cash flows such as resource companies (mining, forestry, oil and gas) going though price cycles or smaller companies about to generate cash flow (junior exploration companies, junior pharma, technology firms…). Please provide your username and email address and we will send you a new password. Value A Company For Free! No thanks, I don't want my FREE valuation report. Your free report will arrive in a few minutes.